Recently I was asked in Quora Community (Q&A Forum) about the worth of going to the Free Hosting route and my answer is of course, Yes. And in this post, you will learn why I do recommend going down to this route as a startup user or webmaster and how you can pick the best provider for your website and web branding experience. If you want to test first the means of having a brand online then I don’t see anything wrong taking the Free Hosting route, because in my case I had great experiences with Free Hosting providers way back before. In fact, I first started building my own brand on Free Hosting myself and learned a lot from there. Apart from it’s totally free, it’s the best way to test out your commitment to the online community. Don’t be fooled by others who taught you that all free providers offer bad quality services. It’s never true in my experience. Those who discourage users on free services are people who may have bad experiences with a bad service provider, and maybe they aren’t well informed on how to pick the right provider for their projects which led me to write about this topic at the moment. Some Free Hosting firms probably do offer bad quality service especially, for instance, when they do put an Ad on their user’s website. This kind of Advertising that users do not like is what they call in the industry as “Forced Ads/Advertising”, and I don’t think a decent Free Hosting organization would do force Ad on your site. 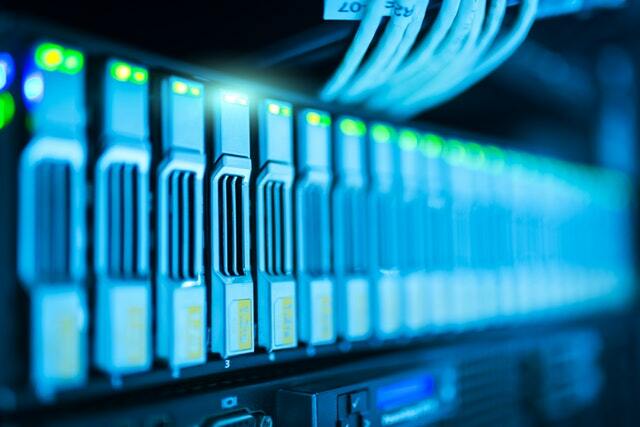 Some points to consider and keep in mind when going the Free Hosting route is the (1) resources they could offer you such as Bandwith, Diskspace, Email Accounts, FTP Connection on a cPanel (or your hosting account control panel). I will not lie, most of these are only upfront marketing solution by some hosting firms and I don’t think it’s really that big deal if they do best in the field of taking care of improving their services from time to time and they do support their users enough when needed. And as a free user, you should also be considerate since it’s a free service. You cannot expect too much since it’s a free service. In my experience, it’s difficult to compete with liar competitors, you really have to have the guts to create a better strategy to market your brand as competitive as it should. Another point to consider is the (2) website status or the contents itself. Ask yourself if the business is updating their contents weekly such as having a Blog, Knowledge Base or do they have a Community Forum, which leads you to the next thing you should consider is the (3) support service. Probably most providers in the Free Hosting industry do not offer support but it doesn’t mean it’s true to sense that “ALL OF THEM”. Some may have support but not that enough and there are those who offer support enough as well. There are further ideas I want to point out more but what was mentioned here are probably enough to consider when taking the Free Hosting route. Take it from me as an innocent WordPress user who has grown to a web-based entrepreneur who recently launched a web-based Web Design and Hosting Business offering web hosting services along with free hosting. In our business, we do not force ads on our user’s websites, but rather offer another a better way such as giving credit to our service by linking our website to theirs or reviewing our services, and this is not by force. It is an option to do in exchange for premium services such as Web Design or etc. at no cost to them or even those who are not members of our community. By the way, I encourage you to check out and learn more about our service in depth and signup for a free account or to any other valuable services we do offer on this website. We offer web branding opportunity to those in need via serving free web design and free web hosting services with rich featured resources that are rarely offered in the industry. And for the fact that we are extremely faithful to meeting our core purpose as a web branding organization, we do not limit our users support resources which is true to the sense of offering free and updated Knowledge Base support articles with bunch of resources time after time, plus we have launched our Blog to provide extended tips further for readers related to web branding best practices and helpful articles in regards to our products and services. Moreover, we got a welcoming support operator in our community forum where you can consult (free of charge) along with other users. To learn more, you can hover within the website to get the benefit in every service we do offer in which you can also get for free. P.S. Photo was taken from pexels.com and created the text graphics at canva.com.